Three days and 500 miles later, the mother’s body was found in a hotel room in Rockford, Illinois. She had died by suicide, leaving behind a note that said her son was with people who love him. 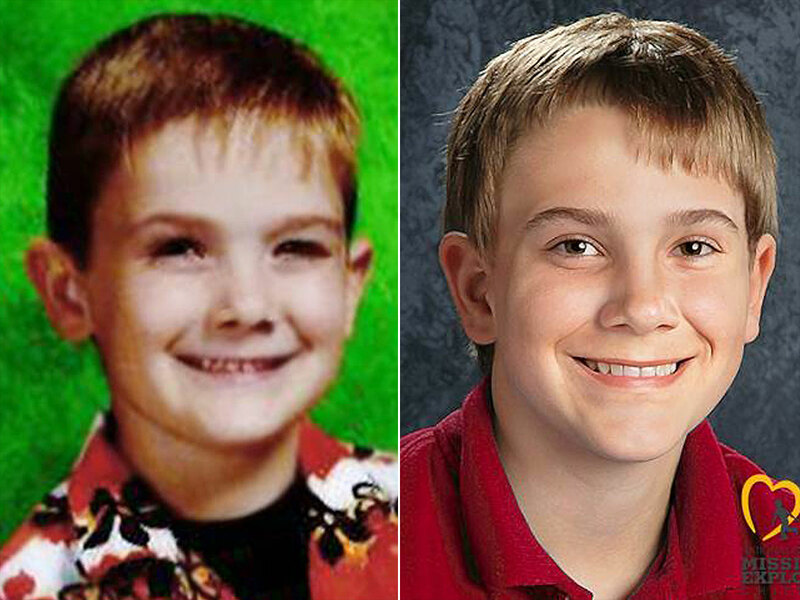 Police and the FBI are investigating whether a teen found wandering in Kentucky on Wednesday is the missing boy. Sharon Hall, who lives in the Newport neighborhood where the boy was found, told CNN she noticed a “fidgety” boy near a car. Her neighbor’s daughters talked to the boy, who told them he had been running for two hours and his stomach hurt. They called the police. The boy told police that his name was Timmothy Pitzen, that he was 14, and he’d ran away from two men who kept him captive for seven years, most recently at a nearby Red Roof Inn. While he was unsure of the hotel’s location, authorities said, it appears the boy escaped and “kept running until he ran across a bridge into” Kentucky, according to a police report obtained by CNN affiliate WCPO. It did not say what city he’d escaped from. Police in the area checked all nearby Red Roof Inn hotels and did not find anything, according to the report . The teen described his kidnappers as two white men of “bodybuilder type build.” One had a spiderweb tattoo on his neck and the other had a snake tattoo on his arms, the report said. The men drove a Ford SUV with Wisconsin plates, according to the police. The National Center for Missing and Exploited Children has said that the boy was last seen at a water park in Wisconsin. In a Facebook post, the Sharonville Police Department in Ohio said it had helped check local hotels for the suspects, but reiterated that officers had no contact with Timmothy, and the information cited was from a dispatch log. Sharonville is about 15 miles from Cincinnati. “All information that we obtained is from Campbell County, Kentucky.” it said. The day before his mother killed herself, she made several calls from an unknown location to family members, including one to her mother. She assured them that Timmothy was safe. Over the years, family members have said that the mother had a history of depression, and her marriage was failing. Her biggest fear was that a judge would take her son away because of her mental health issues, according to relatives. Security video footage from their stops showed a relaxed and beaming mother and son on what appeared to be a fun-filled adventure.